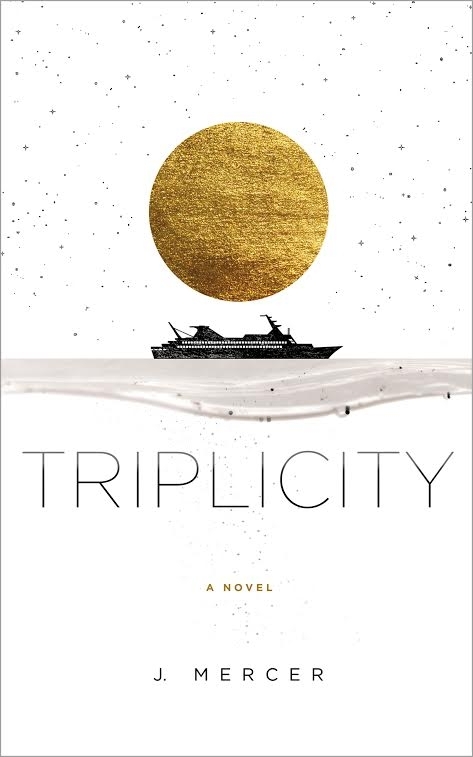 Today we're excited to chat with J Mercer author of Triplicity. Read on for more about J Mercer and her, an interview, plus an giveaway! For updates and news, you can find her on Facebook, but she’s more often on Instagram, talking about what she’s reading and other bookish things. Go there for book recommendations, reading-inspired writing tips, or even to read along. Ah, well... the setting was inspired by an Alaskan cruise I went on, and the theme - three sides to every story - came from some interpersonal relations I witnessed. Everyone so clearly has their version of events in mind, and it can be so very true from that angle, yet if you look carefully from another angle, you can also see how another truth layers beneath it. Everything! When I saw it, the love was instantaneous :) But I guess if I had to pick, it would be how Robin did the water. Not exactly literal, but so very cool. My second young adult contemporary novel, Perfection and Other Illusive Things, will be out in 2020, so I'm working on polishing that up along with drafting some new things. There's a scene with Navy and her mother, and then one with Isaiah and his grandma. I went over them both multiple times, because I wanted it to feel as authentic as possible - not melodramatic and not too stoic. That depends on what's happening in life and the state of my head... drafting is (usually) exhilarating, which would always win, but I do tend to need less clutter in my life for it to go smoothly. If a lot of other things are happening, revising is my go-to muscle of choice. It is easier to do in smaller bits and while half-distracted by the day job. And yes, of course, sometimes you have to write in less than ideal circumstances, but if I'm trying to be most efficient, these are the guidelines I use to inform what I work on. Organization! It comes fairly easy to me, and it's almost fun. I like that the synopsis gives me enough information to be interested in reading this book yet doesn't give anything away. It sounds really interesting to me. The cover suits the synopsis in my opinion. So many times it doesn't however that is a matter of opinion to me. This sounds like an intriguing mystery on the seas. The cover fits well with the synopsis. The cover is okay. The setting and premise sound exciting! I like the book cover design. This sounds like a mysterious adventure.